Are Junior Level PPC Jobs Disappearing? I recently wrote a post about SEM Automation and PPC Careers. An amazing PPC Ian reader (ppcKnight) was wondering in particular if all these amazing automation platforms, those built in-house and those available to purchase, are actually taking away from career opportunities? I shared some of my thoughts on the topic in that post, in particular why I think automation is actually helping build careers in digital marketing. Today, I wanted to answer a follow-up question from another PPC Ian reader (and friend), in response to that post. Sid wonders in particular if those more junior level jobs are becoming irrelevant due to automation. Thanks, Sid for reading and for the inspiration, I really like your question and I’m honored to answer with my 2 cents on the topic! What About Junior Level Jobs In SEM? Are They Going Away? It’s always very nice to read your blog. Of course, adopting the automation within the SEM will certainly help a company to scale or ramp up the campaigns and diversify your skills and driving new initiatives. However, the automation will eradicate entry level jobs within the SEM industry, what do you think? One has to be an expert level to work on the bid management tools like: Marin or Kenshoo or should gain superior knowledge before rubbing hands with the tools. What has been your experience like once you’ve executed the automation? Can you share what kind of jobs were created once the automation was deployed? Moving forward, companies would like to automate the digital process be it SEM or display network through integrating demand side platform. I look forward to hearing for your thoughts on this. Siddharth, thanks again for the question. Here are some of the core reasons I think junior and intermediate level jobs in SEM are here to stay. Certain projects require manual execution. One great example is writing customized ad copy. Another is executing upon an account restructure. While the strategy behind the ad copy approach and the strategy behind the account reorganization may be derived as a team effort (with leadership from more senior team members), there is a clear need for more junior and intermediate level marketers to execute upon the strategy. Many of the SEM accounts in existence today are the result of years and years of different managers. In short, many could use a good reorganization, creating a multitude of manual work. It’s impossible to automate everything. A large number of second and third tier search engines do not offer APIs. For the foreseeable future, I see a more junior/intermediate role in managing/optimizing second tier search engines. It’s incredibly valuable, leveraged work, but requires massive time and attention. With more and more marketing dollars flowing online, marketers need to explore all opportunities including second and third tier engines. Someone needs to manage them. Human interaction cannot be automated. Certain aspects of PPC require frequent human interaction and follow-up. While overall relationship management with search engines is a more strategic, senior role, various day-to-day aspects of the relationship are perfect for someone newer to the PPC career path. For example: Policing your trademark. Even though automated systems exist to locate the offenders, an employee needs to follow up with search engines, websites, and the internal legal team to appropriately address trademark offenses. They never stop, creating an unending queue of work. Someone needs to take notes and document meetings. The plethora of opportunities in digital marketing is unparalleled. I have found it challenging at times to keep everything organized because we move at such a quick pace. Senior leaders on the team can rely on newer team members to document meetings and send out notes. What about testing new keywords and ads? These are two projects at the core of search marketing that will never go away. Automation and platforms make all of this easier, but cannot fully automate it. Why? The best ads have never been created. The best keywords have no search volume because they take advantage of future trends. Start showing up before the trend hits and you will be a true winner. While the more junior team member will work with a more senior team member on the strategy, the process of deploying the keywords and ads is a great project for someone newer to paid search. Great digital marketing platforms are not just for experts. When it comes to build vs. buy decisions on SEM automation, I’m a fan of buying. Why? In house platforms are rarely pretty. They are rarely easy to use for junior team members. However, when you buy a platform, you’re buying not only an amazing back end technology, but also an easy to use front end interface, complete with tutorials and documentation. There is no reason junior employees cannot leverage these platforms, of course with some guidance and supervision from a more senior level team member. As an overall trend, more money is flowing online. With increased money being spent on digital marketing, there is more work. I feel it each and every week – more and more to do, more and more opportunities! With more work, the only way to scale is to hire, expand, and delegate. 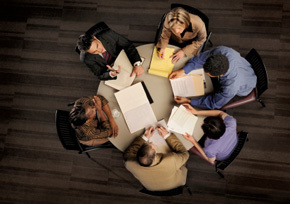 A well-functioning team requires members of all levels. As digital marketing professionals, we are all stretched for time. I see no end in sight for junior, intermediate, and advanced digital marketing professionals! Agree, disagree, thoughts? Please write in with your opinions! Right now, my team is hiring! If you’re looking for an SEM Job (located in Mountain View, California for candidates with 0-1 years SEM experience), please feel free to contact me with your resume and cover letter. 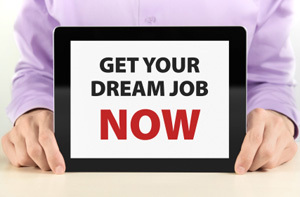 As such, I thought it would be the perfect time to share some tips for landing SEM jobs. While this guide is geared towards landing your first SEM job, it will also help with later stage jobs too. I wrote a post a while back about Landing Your First PPC Job. I recommend reading that post first, since this one builds upon it. I’m the biggest proponent of the SEM career path around. Best of luck in landing your SEM dream job! SEM is one of the most analytical jobs around. Ideal candidates are incredibly strong at complex puzzles. In this stage of the SEM game, competition is paramount. The only way to win is taking a numbers-driven approach and building complex programs that outsmart the competition. While SEM involves a huge number of skills, the data-driven analytics approach is most important. So, how do you demonstrate your analytical and math skills? One easy way is choosing a college major such as engineering, computer science, economics, or business. (This was one of the top tips from my last post on the topic.) However, let’s say you pursued more of a liberal arts major or just want to go above and beyond? Some other tips include: securing an analytical internship (such as investment banking), making it clear in your interviews that you are great at math (make a conscious point to convey your skills), and becoming an Excel guru (and bringing in examples of your work). Paid search requires a strong, expert-level understanding of Excel. If you’re able to do this before you even start your first SEM job, you will be golden! Bonus Tip: Make sure you really enjoy data and numbers before pursuing PPC. If you are not as interested in numbers, no problem at all! You have to be realistic with yourself. In that case, I would consider alternative career paths within online marketing. There exist online marketing career paths (other than PPC) that can be a bit less heavy on the numbers/spreadsheets such as business development and social media. I always respect a well-prepared candidate. Go the extra mile and assemble a marketing portfolio. This may be difficult if you’re new to SEM, but not impossible. Following are a few ideas… Get out there and try some affiliate marketing. Build some sites, craft landing pages, and buy some paid traffic. Bring in the results, but also screenshots of your sites and campaigns. Or, consider starting a blog. Blogging teaches you so much about online marketing, especially social media. As part of your blog experiment, run some paid “like” campaigns on Facebook. Bring in some printouts of the results. Another idea: Study big brand online marketing campaigns and bring in some printouts of your favorite examples. While this wouldn’t be your own work/portfolio, it clearly shows that you love marketing and went the extra mile to prepare. At the end of the day, it’s all about getting creative and arriving prepared. Also, blogging/affiliate marketing can help jobs “come to you” since you will be building a brand for yourself online. Building upon the last point, I always recommend arriving at interviews prepared. Take a look at the PPC campaigns of the company you’re interviewing at. While you won’t have access to their AdWords account, you will be able to perform a cursory audit by searching on Google, checking out landing pages, and looking for opportunities. Get creative with it. Perhaps you also look at SEO and social media (these are easier to audit with the data available to you). Just be careful to demonstrate that you’re primary focus is paid search. These types of audits will not only show that you’re prepared but they’ll also sharpen your PPC skills. Not sure what to audit? New to PPC? Start reading eBooks and whitepapers (I cover many of them here on PPC Ian). Bonus Tip: Don’t have any interviews lined up yet? First identify the employers you’re interested in. Then, consider sending your audit (or at least a summary of it) with your resume and cover letter. It’s all about going above and beyond! PPC as a career is a truly fun journey. I hope these tips help in your PPC job search and interview process! Today I’m going to discuss PPC careers and specifically how you can land your first PPC job. It’s exciting: I’ve received a ton of emails lately from PPC Ian readers about breaking into the corporate PPC industry. Many of these emails have been from current college students. When I graduated Stanford, I really fell into this industry out of pure luck and never looked back. Back then, the corporate PPC industry was just beginning so nobody really got into this industry intentionally (because it really didn’t exist as an established industry). They typically found it by accident and then enjoyed the amazing rewards as the industry exploded. Today, however, our industry has truly grown and there are very clear things you can do to ensure you land your first PPC job. Let’s jump into them! Pay per click is very technical, but at the same time creative as well. We’re creating bidding algorithms, crunching numbers in Excel, and building financial models but are also writing ad copy, brainstorming clever new strategies, and managing high profile relationships with search engines. It’s really the fact that PPC is so incredibly diverse that it stays interesting year after year! So, what majors will prepare you for all of this? While there are many different options, I personally recommend going with a technical major and then a more creative minor (or at least picking up some creative activities). What do I mean by technical major? I’m talking about computer science, electrical engineering, industrial engineering, economics, business, and other related disciplines. I personally went with a computer science major and economics minor. 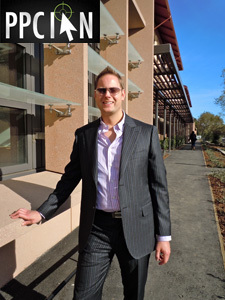 I flexed my creativity by functioning as co-president of Stanford’s investment club. Experience is everything. If you want to get into investment banking, it’s critical to get an internship at one of the big investment banks. Now that pay per click has evolved, it’s incredibly helpful to have relevant industry experience via internships. Ideally, I would try to get an internship at an SEM agency or at a large direct advertiser in an online marketing capacity. (You may want to check out my post about three PPC career paths. ) That said, there’s no need to focus exclusively on PPC when you’re still in college. Any internship at an Internet company (especially one that has a strong PPC and/or SEO presence) will help tremendously. The experience you will gain by simply working in the corporate Internet environment will pay incredible dividends once you graduate and look for your ideal PPC job. I’m a huge fan of my friend Dino Vedo. Dino is a college student, but is also an affiliate marketing mogul. I can tell you first hand: There is no substitute for first hand experience, especially when your very own money is on the line. Whether you approach the affiliate marketing game from a PPC perspective or even an SEO perspective (like myself), this first hand experience will prepare you tremendously for your first PPC job. So, how do you get started in affiliate marketing? One great option is to work with an affiliate network like CPA Tank. 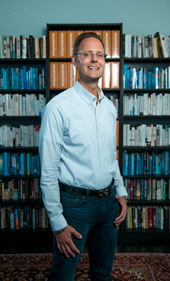 CPA Tank, run by my friend Vito, will connect you with the best offers and provide expert advice on getting your affiliate marketing campaigns started! So there you have it! Three quick tips that will help you prepare for your first PPC job while you’re still in college. In my opinion, PPC is the best career around and it’s an amazing opportunity for anyone in college contemplating their first job. I’ve been in the corporate world of pay per click search engine marketing since 2004. Back in those days, things were quite different. There was no SEM automation, no AdWords editor, and SEM overall was quite manual. In fact, back in those days it took new search marketing employees at least a month or so to start adding serious value to their employer. These days, however, things have advanced so much. 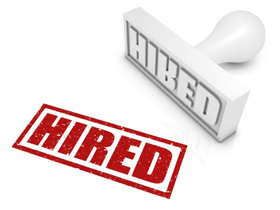 New employees are adding value almost instantly and the leverage in our industry has advanced tremendously. 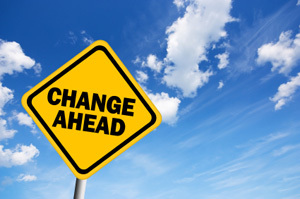 As a result, PPC jobs are changing. They’re changing in two main ways. First and foremost, advanced analytics, bidding, and testing are becoming mandatory. Second, it’s absolutely imperative these days to go beyond PPC and add value in other areas such as SEO, social media, and email marketing. Today, I’m going to share some quick win tips to embrace these exciting changes. I’ve talked about this point quite a bit here on PPC Ian so I’m going to keep my first tip relatively short. It’s important these days to bid more effectively than ever, take your analytics to the next level, and manage your campaigns with precision. Why? Back in 2004, the lack of competition created a scenario of somewhat easy money. These days, you not only have to fight to win the PPC game, but you need to prove to yourself, your team, and your company that you’re doing everything possible to optimize your PPC program to the highest possible degree. How do you accomplish this? Easy! It’s all about getting the right systems and technologies in place. Want to learn about making the best possible purchase decisions for your SEM platforms? 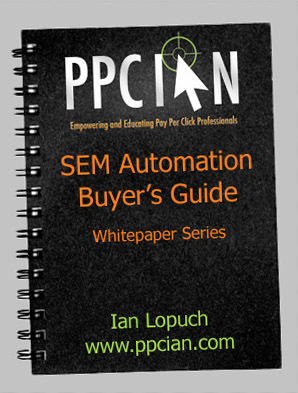 Check out my SEM automation buyer’s guide whitepaper. It’s automation like this that will free up your time to diversify your skillset into other areas such as SEO, social media, and email marketing. Tip 2: Become An Affiliate Marketer, Today! I wrote about this topic when I first launched PPC Ian with a post titled moonlighting will accelerate your SEM career. I’m more confident in this philosophy than ever. To be successful in affiliate marketing, you must be an incredibly savvy marketer. You must challenge your intelligence, test wild new strategies, and push the boundaries on online marketing. Simply put, affiliate marketing is the education of a lifetime. The education I have gained from my blogging and portfolio of over 80 SEO websites has been truly invaluable. I’ve been able to take this education back to the corporate environment and perfect PPC operations while taking on major responsibilities within other areas of online marketing. So, how can you get started? I took the affiliate plunge back in 2007. I basically started from scratch and learned as I went. In this day and age, I’m a huge believer in the affiliate network route. A good affiliate network can truly jump start your affiliate marketing career. You want to make sure to have the best offers, the best payouts, and of course expert advice and mentorship. That’s precisely where industry leading affiliate networks such as EWA Private Network and Blam Ads step in! So, what are you waiting for? Go sign up today! To close out today, I want to underscore the amazing wealth of information out there. If you want to get ahead in the corporate world of SEM, it’s imperative to read all of cutting edge material about PPC, SEO, Facebook, social media, domaining, email marketing, display advertising, and more. These days all areas of online marketing are intersecting and you must become an expert in everything. One thing that’s really important, in my opinion, is to purchase eBooks and online courses that will take your education to the next level. Sometimes, the best information costs a little money (not much, but some). The leverage on your investment, however, is so much that it’s a no-brainer. Two must-haves include Jonathan Volk’s Facebook Ads Guide and Chris Guthrie’s Niche Profit Course. I’m the largest proponent of the pay per click search engine marketing career path around. This amazing corporate career can really take you places! As you may know, I wrote an entire eBook about PPC career tips (I highly recommend reading it). Moreover, I wrote about three different PPC career paths (agencies, startups, large direct advertisers) and also PPC versus SEO careers. 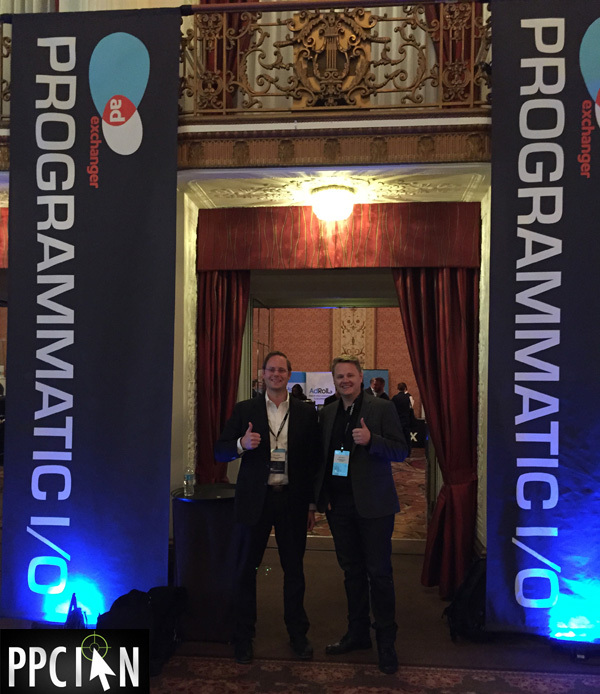 Today, I wanted to do a really quick career-oriented post because I just got back from an amazing trip to Boston, all because of my great PPC job. Last week, I had a truly great time at my company’s office just outside of Boston. It was a great opportunity to travel and see new things, get a bit outside of my day-to-day routine, and function as a leader in my organization. I really love my PPC job at a large direct advertiser because I get the opportunity to travel a few times a year, the perfect frequency for me. Just within the last year, I traveled to Seattle, Las Vegas, and now Boston, all free of charge thanks to my amazing job (my company pays all expenses). Are you someone that likes to travel a lot? How about not much at all? I have advice for you! 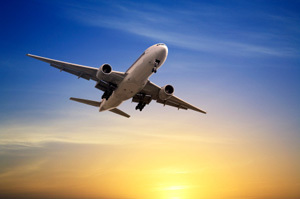 If you can’t get enough travel, the SEM agency career path will be perfect for you. As you get more and more senior within an agency role, you will have many opportunities to travel extensively and visit your clients face-to-face, all paid for by your company. If you like traveling a few times each year, but not as much as someone in the agency role, the large direct advertiser career path will be perfect for you. If you can’t stand traveling and would prefer to stay in one location, the startup route might be more up your alley. When you’re at a startup, there’s less need to travel, especially if you’re in an SEM role. Now, let’s contrast this with the affiliate marketing career path. If you’re a super affiliate and are wildly successful, you can travel all you want (but it will be on your own bankroll). However, let’s say you’re just starting out don’t have a ton of funds. Then, you’ll definitely have less of an opportunity to travel. This is just one more reason I’m a huge proponent of the corporate online marketing career path. Today I’m super excited to present PPC Ian’s third video. My first two videos, Who Is PPC Ian? and PPC Automation: Build Vs. Buy were huge hits! The first video now has over 350 views and the second over 125. I’m especially excited about today’s video because it features one of my favorite topics of all time: Landing Your PPC Dream Job. 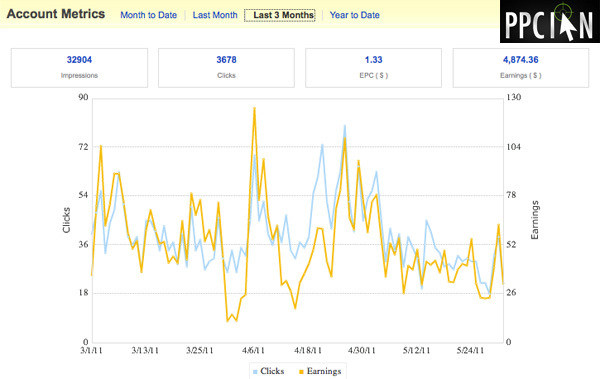 One of the most popular articles on PPC Ian is Growing Your PPC Career With LinkedIn. This is one of the longer posts on my site and highlights in great detail my passive PPC job "application" techniques leveraging LinkedIn networking. Excitingly, last week at SMX West Santa Clara I met with a PPC Ian reader who implemented the tips in this post and subsequently received four PPC job offers. How cool is that! Today’s video is based on my pay per click LinkedIn tips. I discuss several advanced strategies for landing your PPC dream job the passive way, leveraging both LinkedIn and your network in general to your advantage. Networking has been one of my personal strengths and has paid tremendous dividends over the years. I truly hope I can assist in your pay per click job hunt. Thanks so much for visiting PPC Ian and I hope you enjoy this video.